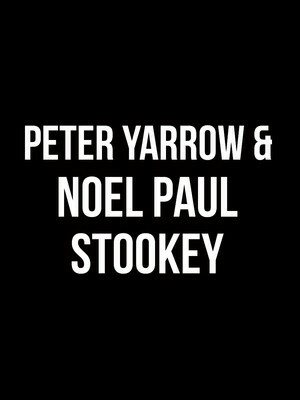 Why See Peter Yarrow & Noel Paul Stookey? The two surviving members of folk legends Peter, Paul and Mary have continued touring together despite the death of Mary Travers in 2009. Formed in New York City in 1961 during the American folk music revival phenomenon, the trio brought folk out from the Village coffeehouses and onto radio, paving the way forward for future folk artists Bob Dylan and John Denver. 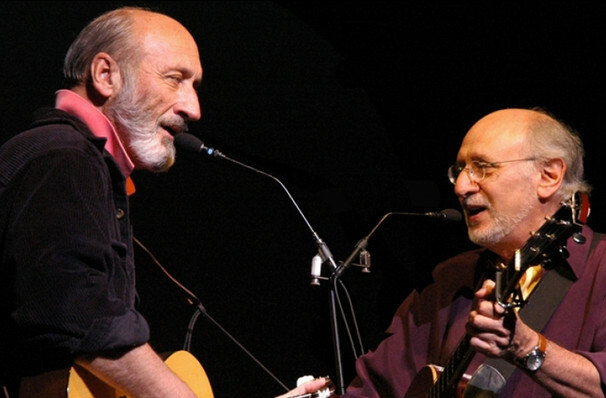 Peter Yarrow and Noel Paul Stookey are headed back on tour, continuing to bring folk music to newer audiences. The key to the band's success was their political alignment with the liberal and civil rights movement during the Sixties, where their music often took on the plight of women's liberation and campaigning for an end to the Vietnam War. Playing for nearly five decades as a trio until Travers' passing from leukemia in 2009, their legacy of political music resonates as strongly today. Seen Peter Yarrow & Noel Paul Stookey? Loved it? Hated it? Sound good to you? Share this page on social media and let your friends know about Peter Yarrow & Noel Paul Stookey at Cerritos Center. Please note: The term Cerritos Center and/or Peter Yarrow & Noel Paul Stookey as well as all associated graphics, logos, and/or other trademarks, tradenames or copyrights are the property of the Cerritos Center and/or Peter Yarrow & Noel Paul Stookey and are used herein for factual descriptive purposes only. We are in no way associated with or authorized by the Cerritos Center and/or Peter Yarrow & Noel Paul Stookey and neither that entity nor any of its affiliates have licensed or endorsed us to sell tickets, goods and or services in conjunction with their events.